September marks the beginning of autumn weather in China. The summer heat begins to wane, and the weather in the north becomes cooler. In South China, the hot and humid weather continues, but it is gradually replaced by cooler and drier weather by the end of this month. 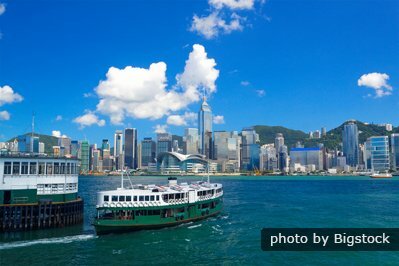 Read on to find out how China’s September climate affects tourism and our travel suggestions. North China gets crisp, mild, clear weather optimally. The beginning of the month may still be like summer though. The moderate rainy season ends in August. The pleasant early autumn is great weather for touring. In Beijing the average temperature is 16°C–26°C (61°F–79°F), and there are 8 rainy days in September. Xi’an is similar. North of Beijing, e.g. in Mongolia, it averages 5°C (9°F) colder, so it’s still pleasant to see the grasslands. Clothing: Summer clothing such as shorts, T-shirts, and light trousers, plus a thin jacket or warm layer for cooler days and evenings. Xi&apos;an is still warm with cool nights. Pleasant autumn temperatures are cooler after the light rain. It’s great weather for touring the sites. Weather: The East of China has pleasant September weather. The fragrance of cassia and cinnamon flowers contributes to the soothing feel of fall. The warm days and cool or warm nights generally have less rainfall than in summer, and the climate is not as dry as in the north. Shanghai averages 21–28°C (70–82°F) with 7 rainy days. Eastern cities like Shanghai, Suzhou, Hangzhou, Nanjing, and Huangshan are similar. Shanghai is always popular, but September is suitable for more outdoor activities, so it&apos;s good idea to extend your tour to cities around Shanghai by bullet train like Suzhou and Hangzhou. 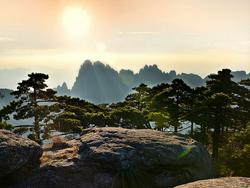 The drier weather is definitely good for hiking in the Yellow Mountains in Huangshan, and it is cooler than sticky summer. 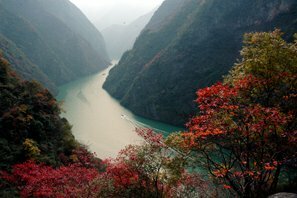 Weather: This area around the Yangtze River cools significantly in September. Cities like Chengdu, Chongqing, and Zhangjiajie, are still quite warm though. Zhangjiajie averages 20–30°C (68–86°F) with 3 rainy days. Rainfall drops by about half from August in some places, but it remains high in Chengdu, averaging 19–25°C (66–77°F) with 10 rainy days. Clothing: Shorts or light trousers, T-shirts, and a light jacket for evenings/rain. August is the month when most giant pandas give birth to cubs. 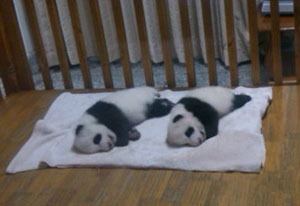 If you visit Chengdu in September, you will have a great chance to see new-born or baby pandas. The mountains in Zhangjiajie feel cooler. Less rainfall makes much better weather for travelling the amazing Zhangjiajie National Forest Park. Chongqing is the most-selected Yangtze cruise port. Though the city remains warm/hot, it is nice on the river in September, one of the most pleasant months for a relaxing Yangtze cruise. Weather: Temperatures in South China are significantly higher than in the north. Guilin averages 22–31°C (72–88°F) with 4 rainy days. Temperatures in cities further south like Guangzhou and Hong Kong are higher still. Unlike much of the rest of China, Hong Kong and the southeast remains very rainy, and it is humid and warm at night. Typhoons bring much of the rainfall, and these arrive most frequently in September. Clothing: Shorts or light trousers, summer clothing, T-shirts, sunglasses, and hat. Guilin cools, and it rains much less than earlier in the summer. This makes for better weather for a Li River Cruise. And at the end of September, it&apos;s the best time to see the golden Longji Rice Terraces. 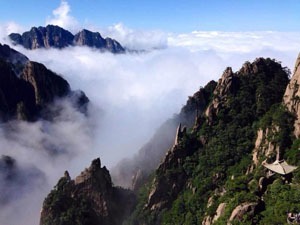 Weather: West China contains lots of mountains and deserts, so the weather conditions are complicated. In highland areas, there will still be drizzle or showers, but this usually only lasts for an hour or so and won&apos;t affect your outdoor activities. In Lhasa and other high-altitude cities in Tibet the temperature is lower than cities further east. Lhasa averages 9–21°C (48–70°F) with 12 rainy days; Lijiang 16–25°C (61–77°F) with 20 rainy days; Urumqi on the Silk Road 12–24°C (54–75°F) with 5 rainy days. Clothing: You&apos;ll need a variety of clothes such as a jacket, light trousers, T-shirts/shirts, and rain gear. Take a coat if you go up to the mountains, e.g. the area around Lijiang in West Yunnan. For Lhasa, bring your coat and sunglasses and dress in layers. You can travel more places in Tibet besides Lhasa in September due to the good weather. 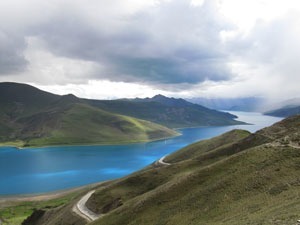 See Mount Everest and the holy lakes, or travel to Nepal via the road from Tibet. Likewise, around Lijiang travel further into the Tibetan minority areas to explore places like Shangri-La and Jade Dragon Snow Mountain. Temperatures on the Silk Road fall significantly in September. Early fall is fine for touring Xinjiang and Silk Road places in warm/mild and sunny weather with little rainfall. 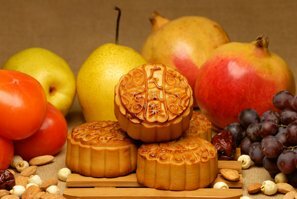 Enjoy a bountiful harvest of top quality grapes, melons, and other fruits. 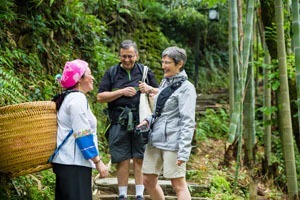 Discover China in your way by getting close to local people. Planning a China trip? Our travel advisors are very glad to give you suggestions and guidance for your trip planning. We are in China, and has explored all around the country in different weathers. 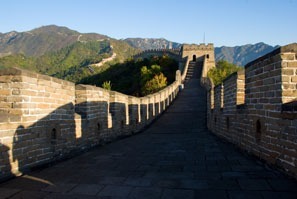 If you are interested in touring anywhere in China contact us for help. Let us help you plan a personalized September tour.